Leading Manufacturer of variable frequency drives from Chennai. We offer qualitative range of Variable Frequency Drives at market leading price. This ensures reliable and accurate load handling. The speed can be regulated with or without using sensors. This sophisticated machine finds its application in plastics, ceramics, textiles, electronics, numerical controls, oil, mining, agricultural and pharmaceuticals. Our machine is made with the combination of rich quality raw materials and some latest technologies. We ensure safe and timely delivery of our product. 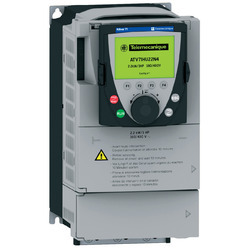 Looking for “Variable Frequency Drives”?